Wearable, mountable POV cams get you out from behind the camera and let you capture your adventures in high-def video and stills. Controlled via smartphone apps or accessory remotes, you can mount these ultracompact cameras just about anywhere for a totally unique perspective on the action. 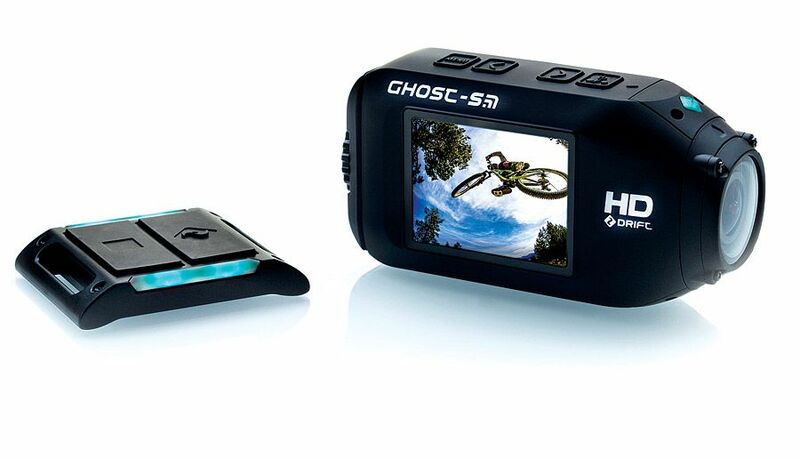 The Ghost-S has a large 2-inch display and a unique remote, with color LED feedback to let you know which recording mode you’re in and large buttons that can be easily used, even when wearing gloves. It’s waterproof to 3 meters, and an optional waterproof case allows it to dive down to 60 meters. The lens can rotate 300º for mounting flexibility. One unique feature of the VIRB Elite is its ability to pair with compatible Garmin ANT+ devices (like handheld GPS units) and sensors (such as heart rate monitors) for remote control and additional data. Waterproof to 1 meter, an optional dive case lets it go as deep as 50 meters.